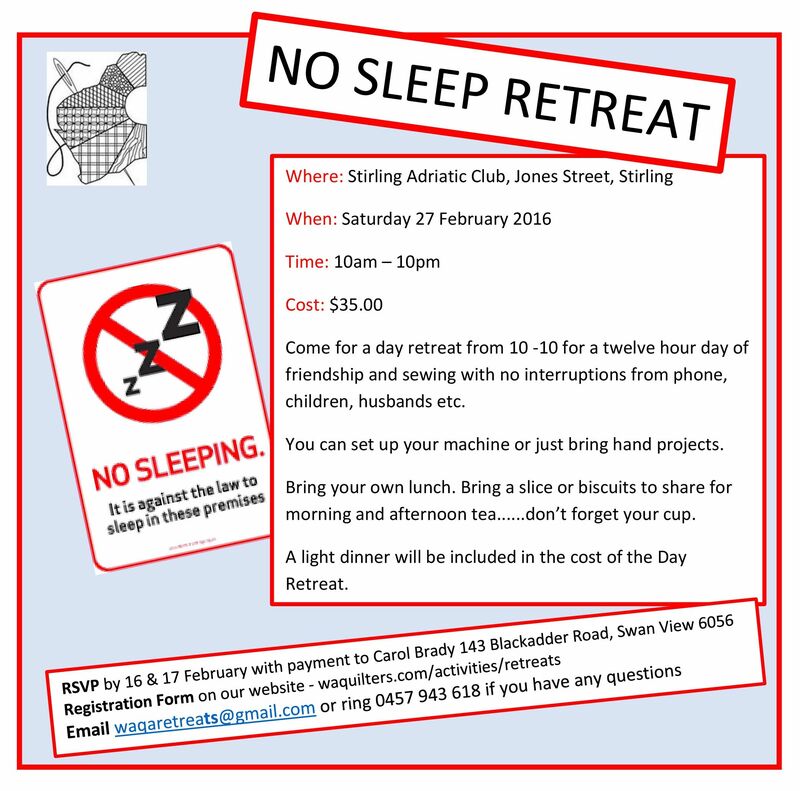 Come and join the wide awake quilters for our first ‘No Sleep Retreat’! This entry was posted in Notices and tagged retreats. Bookmark the permalink.